We let UBER's extensive experience and capabilities beyond construction drive key messaging. From a creative standpoint, we also needed to represent these markets and service offerings using imagery that’s different than what you typically see on a construction website. 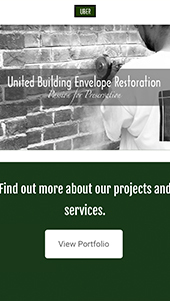 UBER is a full service contractor with expertise in all aspects of exterior building renovations. 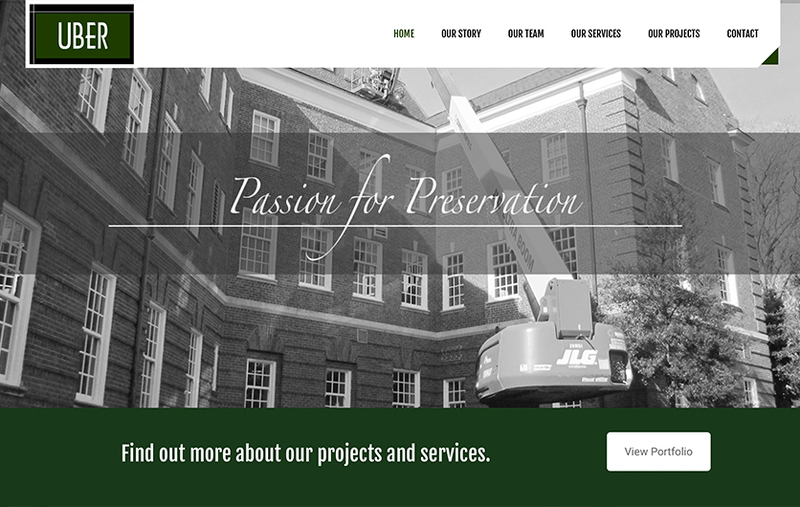 Projects range from historical work to general repair and building modernization. UBER understands that not all contractors have the same capabilities, knowledge or abilities to perform what they promise. Their vision is to provide the UBER experience with a partner that has a proven history of completing difficult and sensitive projects with customer satisfaction. We started working with UBER on their web presence because they wanted to stand out in their space with a more engaging, simplified experience. Specifically, the challenge was in moving away from the typical image of a hard hat construction company to communicate a more customer-focused message about “how we help.” With such a wide portfolio of notable buildings, it’s important to showcase capabilities as well as a robust images of work. It wasn’t enough to simply showcase UBER's capabilities. Instead, we needed to put ourselves in the shoes of a prospective client. So, we let their extensive experience and capabilities beyond construction drive key messaging. We developed project overviews to give real-world examples to show UBER is capable of handling big, complex projects under intense pressure and while facing high customer expectations.